Stop dirt, snow, mud and grass at the door. 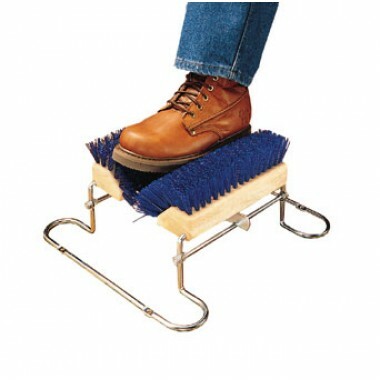 Boot N Shoe brushes use bristles to remove excess dirt and sludge so a mess won’t be trailed on the floor. The brushes are placed on a foam mount for easy use. Place Boot N Shoe brushes outside, at kitchen doors, in mud rooms, and near other entrances to prevent personnel and patrons from bringing contaminates into food service areas.